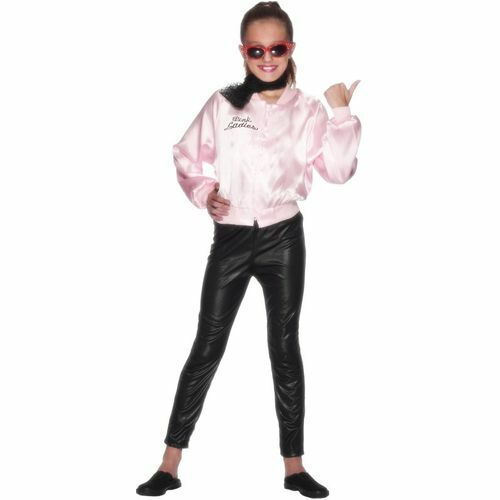 Pink satin feel long sleeved jacket with zipper fastening. "Pink Ladies" printed logo on the front and accross the back. Ideal for 1950s and film themed fancy dress. Small - Age 3-5 Years.